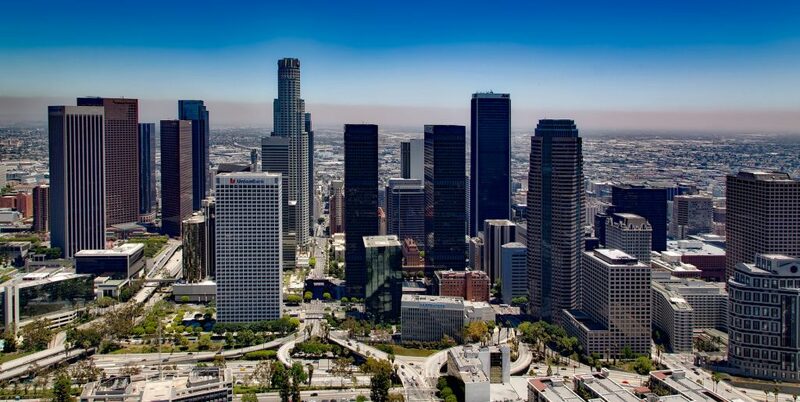 5 Reasons Los Angeles is the Online Marketing Capital of the U.S.
Los Angeles is known for many things, and online marketing has quickly become the newest feather in the diverse city’s cap. Sure, big players in the online marketing game in cities like Toronto might want to give the City of Angels a run for its online marketing money, but Toronto is in Canada, so no big deal, eh? For those of you that have recently moved to LA for the burgeoning tech market, we’ll also touch on some great places to visit; hey, it’s not all about the “likes”, “shares” and “follows”. At some point, you have to step away from the screens and experience life, so that you can then post it on your favorite social media site. Wait, I guess that really does make it all about social media engagement. Hollywood is home to the “Big Six” movie and film production companies with control over the “Big Ten” Hollywood movie studios. News Corp, Sony, Universal Studios, Time Warner, MGM and Viacom have major footprints in and around Hollywood. With more than 700 films in production every year, it’s no wonder that Los Angeles has become an easy marketing extension for the TV and feature film execs looking to get their media in front of as many viewers as possible. Add to the mix that more and more video content is being streamed online with services like Hulu and Netflix, and it’s easy to see that Hollywood needs the Internet’s undivided attention in order to thrive in a digital world. A strong online marketing presence in nearby LA gives Hollywood the accessible boost it needs to own the online entertainment market. There’s something about following all the shenanigans that our favorite movie stars and TV personalities get into that helps provide a distraction from the challenges in our personal lives. What started out as magazines at the grocery store checkout has gone digital with a vengeance. Hundreds of online entertainment blogs based in the LA metropolitan area cover the latest and craziest from the most buzz-worthy of celebs. All of these LA-based blogs have similar levels of access because of their proximity to Hollywood. To successfully bring in enough ad revenue to support their star-crazed content efforts, companies like SEO Royals help the best online blogs create and grow targeted traffic flow to their site. After all, if your site comes up first in search results for a major personality online, who cares what your competitors are able to dig up; you’ve got the first bite at the apple. They say where there’s smoke, there’s fire. In the marketing world, where there are people, there’s an opportunity. With a population of more than 3.9 million people, that’s a heck of a lot of opportunities. With Google’s emphasis on separating out local search traffic, an online marketing agency with knowledge of the local search terrain is invaluable. The heavy presence of entertainment firms, major tech players and the businesses that provide for their workforce, there’s an incredible amount of competition for the top rankings of LA-centered search terms. Moving to or Visiting LA? If you’ve picked up stakes and decided to try your luck in the high-growth market that is the LA tech space, good luck. The best and brightest are flocking to the sunny beaches and reflective skyscrapers. If you’re lucky enough to snag a job in the marketing field, then you’ll definitely need some work/life balance. LA is a busy market, and keeping up with the steady stream of work can be daunting. Stepping outside of the office, there’s a fantastic piece by The Crazy Tourist that lays out 25 of the best places to visit in LA. Whether you enjoy the beach scene, historical sites, or great eats, there’s something for everyone on the list. My personal favorite is Huntington Beach in the evening; bring some firewood and enjoy one of the public fire pits while listening to the waves crash on the shore. California is home to Silicon Valley, and LA’s proximity to the high-tech sector certainly is a boon to the growing tech industry in the metropolitan area and surrounding Orange County. MeetUp groups abound where technologists can come together and discuss all of their favorite tech and web coding that they read about on tech sites like Tech Supremo. In these meetings, Angel Investors and Venture Funds come together to learn about the newest startups launching in LA. It’s really phenomenal how diverse the startups are, and how much of infrastructure exists for those willing to take a chance on building something of their own. Moses Vandenberg is experienced professional in type my essay service with over 7 years of experience in the business development, marketing, and sales management. Also has success in the areas of Data entry, database management, and project management. NextChecking Controls: Are You Optimizing Your Marketing Process?